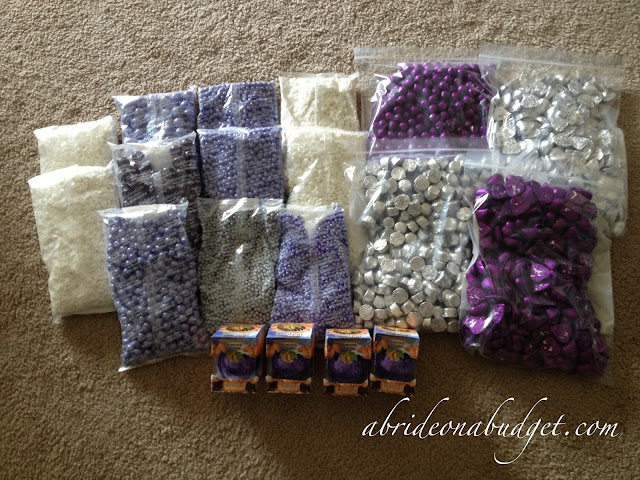 A Bride On A Budget received the aforementioned candy in this post from SweetWorks. Additional candy, containers, and miscellaneous items in this post did not come from SweetWorks. All thoughts and opinions belong to ABOAB. When we were planning on doing a candy buffet at the wedding, I searched far and wide to find candy bar math. There were no posts. 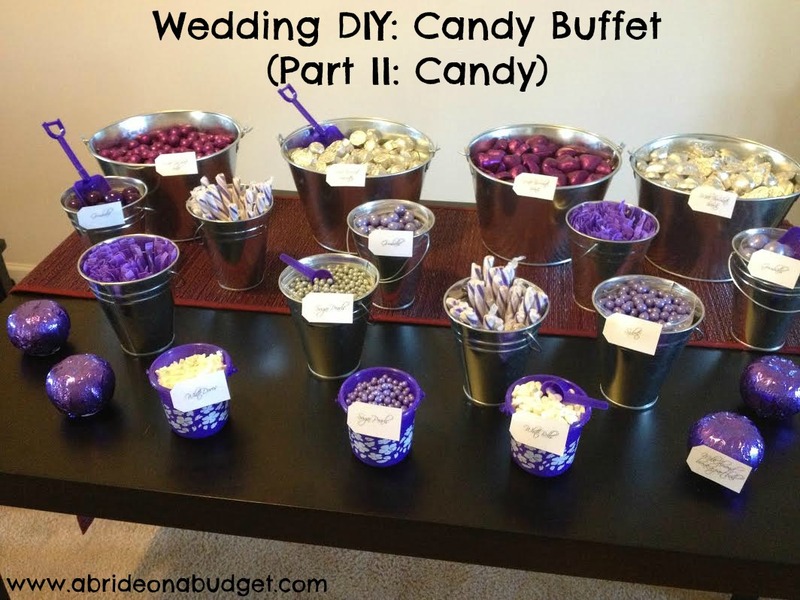 The Internet is really devoid of any real life wedding experience to really let you know how much candy you need if you do want a wedding candy buffet. I'm here to change all that. We worked with the candy brand SweetWorks to help with this post. You can shop SweetWorks to purchase the items that we received for this post. Since you'll want your candy buffet to match your wedding, you should definitely shop by color. 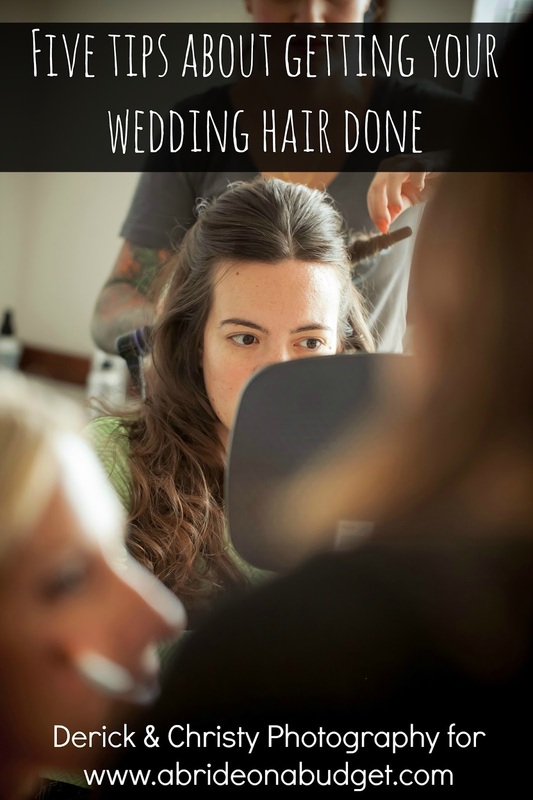 You want this to be an extension of your wedding, and making sure everything is the same color as your wedding will help. In total, we ordered about 40 pounds of candy for just over 100 guests. That's 2.5 guests per pound or about 6.4 ounces each, give or take. In the end, I'm going to say that our guests ended up taking about 4 ounces each, but that's because we did have some light candy. If you are going with chocolate only, account for closer to 7 ounces per guest. As far as variety, I would say start with four types and then add one for every 10 guests (so five types for 20 guests, six types for 30 guests, up to 14 for 110 and then just stop there and start repeating. And, actually, you can find this many varieties at SweetWorks, so that's one stop shopping. And yes, different colors of items do count as different varieties). Because our items were shipped in bulk, everything we received came in bulk bags (except the break-a-part balls). Less packaging, so that's good. My favorite was the dark chocolate croquettes. I think I did too good of a job telling people how amazing they were because the last time I saw them was when I was packing these items up to bring them to the venue. I never saw them again after that. Everyone had taken them all. Our colors were eggplant, lilac, and silver, with a pop of white, so I made sure to order items in those colors only. We ended up with 16 containers of varying sizes (you can check out full details on those items here). The four largest buckets (9" x 5.75") were filled with chocolate. Those went completely. We fit 446 purple foil balls (about 5.5 pounds), 234 dark chocolate croquettes (about 4 pounds), and 261 chocolate hearts (about 5 pounds) in each container. The medium sized buckets (4.5" x 5") were mostly filled with wrapped candy. See, the galvanized buckets are not food safe. So, for the ones we did fill with food, I put a plastic sandwich bag in first. It fit perfectly. I didn't have to cut the edge or anything. We filled them with: 42 large gumballs (about .75 pound), 40 lollipop sticks, 191 small gumballs (about 1 pound), 120 sugar sticks, 1866 sugar pearls (just over 1 pound), 521 Sixlets (1 pound). In the small plastic buckets (3.25" x 4.25"), we used: 138 white doves, 857 sugar pearls (.5 pound), and 312 white bells (the doves and bells are maybe half pound, but those are the only ones I'm really guessing on). We tagged each item with its name so everyone would know what items were in which containers, and we added shovels and scoops. My mom said we really only needed them for the unwrapped candy, but I added one to the wrapped row in the back, just for aesthetic purposes. I wasn't around the chocolate buffet until the end of the night, so I can't tell you the order of which things were taken, I just know what was left at the end. And it wasn't chocolate. That was gone, almost completely gone. The other items had extras that didn't fit in the buckets that could be used to refill them, but all the chocolate was put out at the start. And at the end of the night, there was hardly any left. The Sixlets were completely gone too, including the leftovers that didn't fit in the bucket. My uncle and his sons are in love with Sixlets (which are a candy-coated chocolate-flavored ball) Almost all the lollipop and sugar sticks were taken too. And don't even ask me how quickly the break-a-part balls were snatched up. I can't find a single leftover gumball, but I sorta think someone took those at the end of the night all together. I don't think the guests added them to their candy bags as much as my remaining candy would lead me to believe. The containers with the white doves and bells were almost empty, but we didn't put out as much of that as the others. And the sugar pearls weren't touched. So, I would stay away from those (even though I'm a huge fan of the sugar doves and bells and have been enjoying the extras) and I would stick with more chocolate-based items. We had large bags for people to fill and personalized stickers for them to use to close the bags. We had the band make an announcement that the candy bar was available for a late night treat and I even had it added onto our menus (we had one at each place setting). I don't know anyone who didn't head over to the candy buffet to grab some for the road. It really was a huge hit. 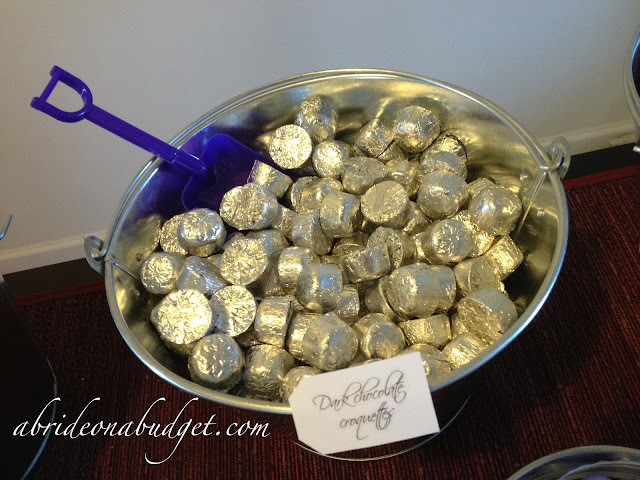 BRIDAL BABBLE: What is your favorite candy? 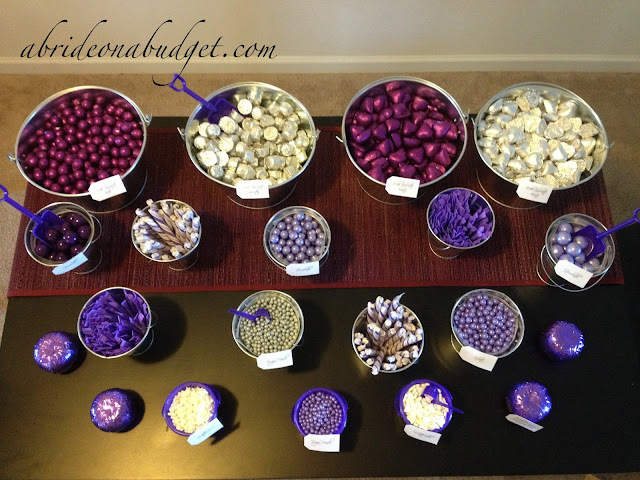 Great information for those trying to DIY a candy buffet, especially the candy breakdown. It turned out really good. Great tips! I love how you spelled out exactly how much and how many guests. Definitely will come in handy for future parties we hold! I love the idea of a candy buffet! It was smart and budget-conscious to buy the candy in bulk. I love the idea of a buffet, especially if it includes gumballs and chocolate. Loving the candy breakdown. It's so hard finding good information when it comes to candy buffets. What a great idea. I bet the guests loved it! And such beautiful presentation too. Thank you for linking at the In and Out of the Kitchen Link Party. Hope to see you again next week. This is just gorgeous and your info is so timely, not just for weddings but baby showers, birthdays, anniversary parties. I just posted about the DIY wedding doors we made for a recent family wedding. Come over and visit, check it out! What a great idea and I love the pop of color. Gorgeous! I bet the guests loved this. I would definitely choose chocolate first (as a guest), but I think you offered a really nice assortment. Great job! Love this! This information helped me so much!! What is a dark chocolate croquette? Sounds yum! This is all good information in order to plan a Candy Buffet. I like how you had it organized. I love the Shimmer lavender pearls. 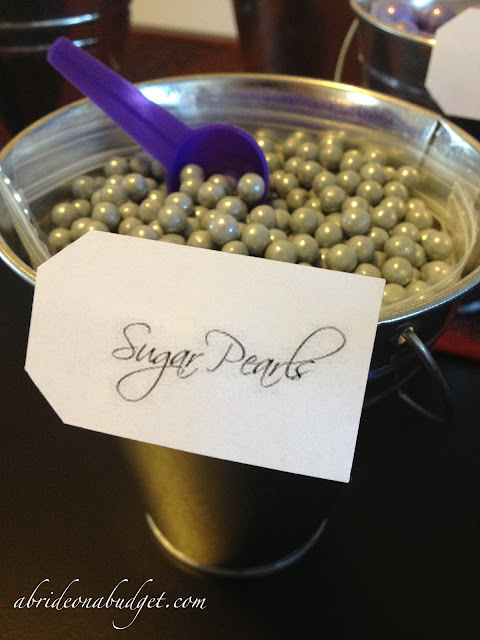 I love the sugar pearls! I want them for my candy buffet!! Great tips on what to order! Definitely have to double up on the chocolate! Good info! Glad to know all the chocolate was gone, less for me to eat! This is SUCH a clever idea... and awesome way of avoiding a cookie cutter wedding and adding some personality! 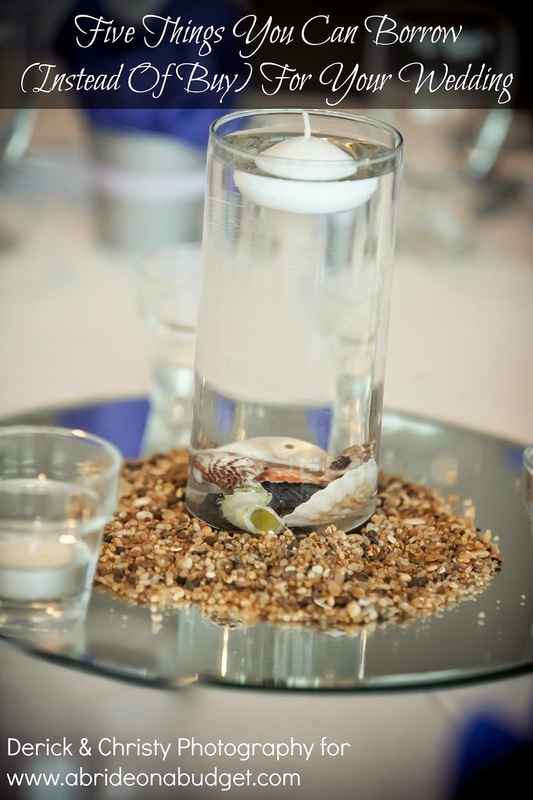 Also a cool way to incorporate your colors! This is beautifully done! 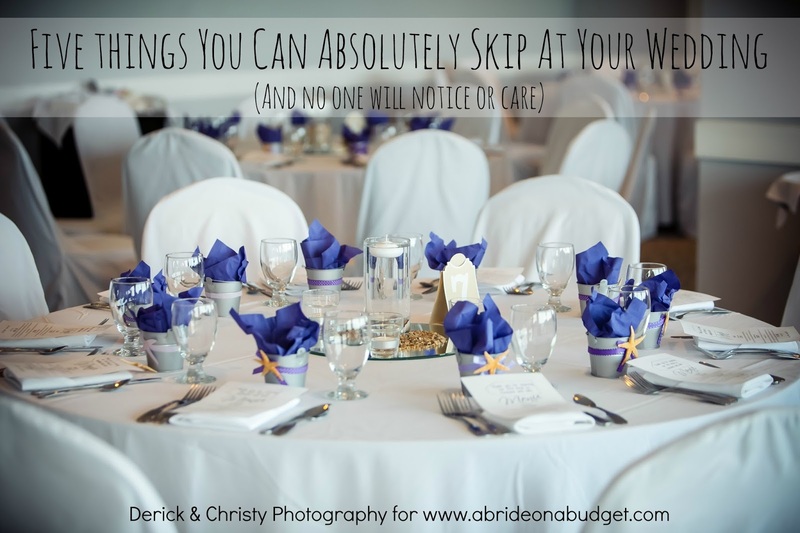 Wonderful tips and great presentation ideas. I love this idea. All of the candies are perfect for a wedding. This is not only a great idea financially but also one which is memorable. I like how you said at the end was the biggest hits and also like the personalized stickers to close the candy bags. Great touch!